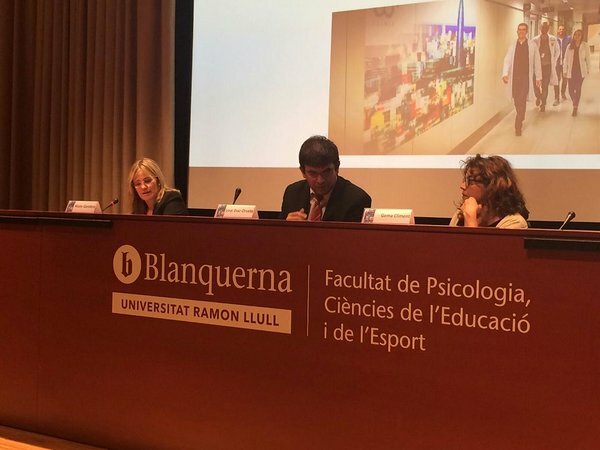 The researcher Dr. Unai Diaz-Orueta was invited as a guest lecturer to the Neurorrehabilitation Masters Degree in the University of Almeria (Spain), to deliver a lecture on Cognitive Disorders in the Older Populations: evaluation and intervention, where main content derived from the research held in the E-SPACE project in relation to the improvement of widely used cognitive screening tasks by means of a process-based approach. The lectures were held online on the 3th and 17th November 2017, and due to good reception by students, will very likely be held again in subsequent years. European Researchers´ Night in Dublin. E-SPACE at the TCD Research Probe. Last Friday 29th, the TCD Research Probe celebrating the European Researchers´ night included a section called Cafe Curie, where different Marie Sklodowska Curie Actions postdoctoral fellows could present their projects to their general public in a more relaxed, informal environment. Dr. Unai Díaz-Orueta presented the E-SPACE project to the interested audience in an oustanding environment where connection between the scientific community and the general public was encouraged and achieved. We did it again!!. 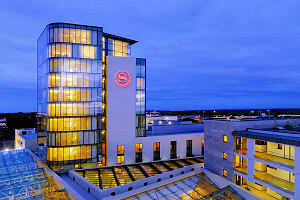 Meeting at Limerick will host a symposium on E-SPACE and the process-based approach to neuropsychological assessment. 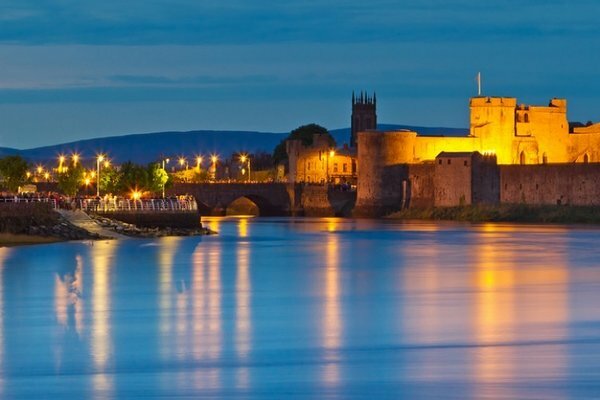 Next 10th November, those who have passion for neuropsychological assessment may join us at the 47th PSI Conference in Limerick city (Ireland). The symposium entitled "Perspectives and outcomes of a process-based approach to neuropsychological evaluation: Decreasing the uncertainty in clinical diagnosis", chaired by Dr. Unai Díaz-Orueta, co-presented by Dr. Alberto Blanco-Campal (HSE) and Prof. Teresa Burke (DCU) and with the addition of an international speaker from the University of Salamanca, Dr. Ana Belén Navarro-Prados, to the already existing E-SPACE team. - Montreal Cognitive Assessment - Process-Approach (MoCA-PA) and Digits Backwards Task: Advantages and preliminary results from a Spanish-speaking older adult sample. Presenter: Dr. Unai Diaz-Orueta. - E-SPACE battery for early detection of Mild Cognitive Impairment (MCI) and dementia: Preliminary results with an older adult clinical sample. Presenter: Prof. Teresa Burke. - Alzheimer’s Disease and drawing through a model of retrogenesis: What drawing processes tell us about the progress of Dementia. Presenter: Dr. Ana Belen Navarro-Prados. 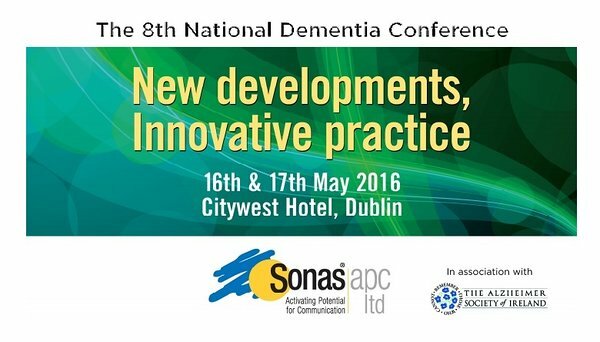 - Deconstructing Apraxia: The inevitability of a process approach to its clinical assessment in Dementia. Presenter: Dr. Alberto Blanco-Campal. Come and join us this November! You will not regret it. The life cycle of neuropsychological evaluation: From Luria to Virtual Reality. This is the title of an online Openclass presented by Dr. Unai Diaz-Orueta on the main topic of E-SPACE project. Last 5th September, Dr. Unai Diaz-Orueta presented an online Openclass for the Spanish Speaking community, invited by the UNIR online University (Spain). The openclass, entitled " The life cycle of neuropsychological evaluation: From Luria to Virtual Reality", presented the current status of neuropsychological evaluation and the potential benefits of merging the knowledge of a process-based approach to neuropsychological assessment and the latest technologies such as Virtual Reality (VR) developments. A collaboration has been established between the E-SPACE project team and Psychology Staff from the University of Salamanca (Dr. Ana Belén Navarro-Prados) to perform a pilot study on screening tools adapted to a process-based approach to cognitive assessment. 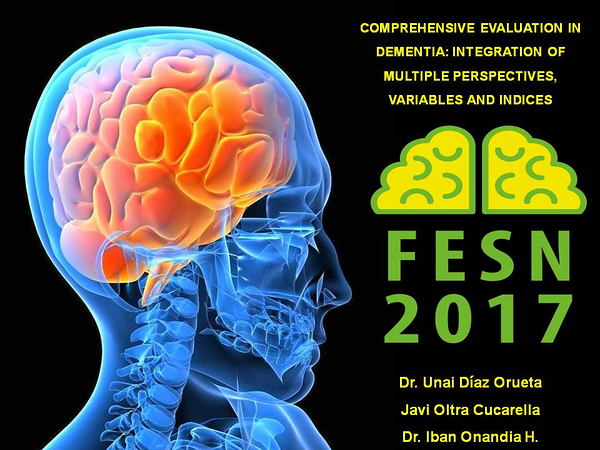 This pilot is expected to involve 100+ Spanish speaking older individuals who will be administered Spanish versions of screening tasks modified, within the scope of the E-SPACE project, using a process-based approach to neuropsychological evaluation. First results are expected by the end of September-mid October this year. The 2017 MCAA Conference and General Assembly was held on Friday 24th and Saturday 25th March 2017 in Salamanca, Spain. The 2017 MCAA Conference and General Assembly was held on Friday 24th and Saturday 25th March 2017 in Salamanca, Spain. The host for this event was the University of Salamanca, in cooperation with the MCAA Spain/Portugal Chapter. Dr. Unai Diaz-Orueta, MSCA Postdoctoral Fellow, had the chance to present the poster entitled "Improvement of Cognitive Screening Tests for Mild Cognitive Impairment (MCI) and Dementia using a Process-based Approach to Neuropsychological Evaluation: The E-SPACE Project". Though the representation of psychology and other human sciences was minor at the event, there was a chance to discuss the project with interested partners. Last 29th and 30th June, the 70th Meeting of the Catalan Society of Neuropsychology was held at the Ramon Llul University in Barcelona (Spain). The first day was devoted to workshops and the main conference was held on Friday. A workshop entitled " From paper to technology on neuropsychological assessment and intervention: A needed trip" was organised by Dr. Unai Diaz-Orueta, on the benefits of using a process-based approach to neuropsychological evaluation, with practical examples on how to get the maximum for currently widely used cognitive screening and assessment tests beyond the mere consideration of total scores; and how to include latest technologies like Virtual Reality in the goal of developing better neuropsychological tests. On Friday 30th June, sharing stage with Gema Climent, founder of Nesplora Ltd (Spain), Dr. Unai Diaz-Orueta developed the presentation "From Luria to Virtual Reality: there and back again", enhancing the need to combine the latest technologies with the roots of Neuropsychology in Europe and the world, with Luria and Kaplan as key references for their work on a process-based approach to neuropsychological assessment. 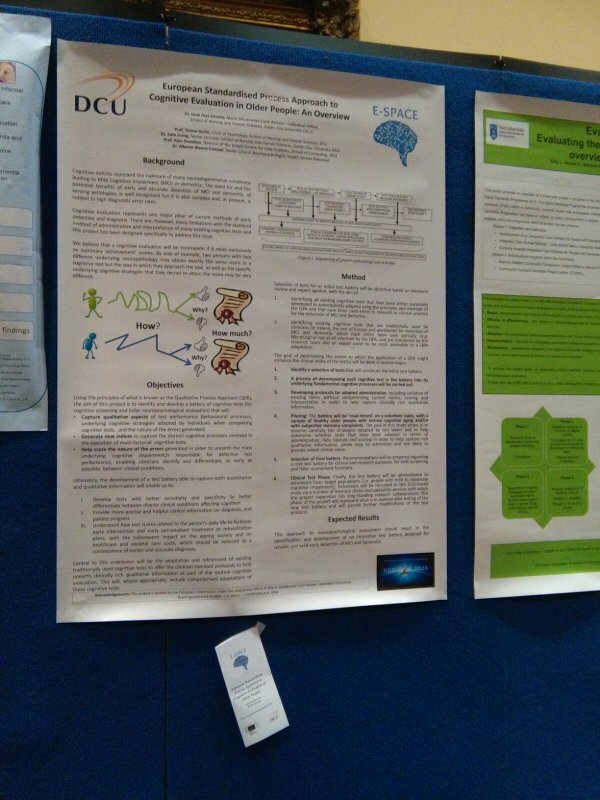 "The E-SPACE Project An International Expansion of the Boston Process Approach to Incorporate Error Analysis of Behaviour"
As promised, E-SPACE project was present at the 8th National Dementia Conference as promised. Many attendants showed their interest in our project. The poster we presented can be seen below. More than 30 experts are urging action on Alzheimer’s and other dementias in the April volume of the Lancet Neurology Journal, released today ahead of the presentation of a landmark report to the European Parliament Commissioners in Brussels this afternoon.